While every situation is different and will require it’s own specific course of action, there are 5 very basic defensive driving tips that should always be followed while behind the wheel. Read through the advice I’ve outlined below (even the ones that seem obvious). If you discipline yourself to always follow these 5 rules each and every time you get behind the wheel, you can’t help but to be a very safe driver and you will greatly reduce the chances of an accident. The key here is self-discipline. Anytime you violate these 5 basic rules, you are putting yourself and everyone else around you at risk, not to mention adding additional wear and tear to your vehicle. Here is a skill that is learned over time. In order to be one of the safest drivers on the road, you must always have an escape plan. While you may be a great driver, you can’t always predict what other drivers around you will do. In addition, factors out of your control could change a routine driving situation into a driving emergency very quickly. Say a dog runs into the roadway and everyone slams on their brakes. Or maybe someone has a tire blowout and begins spinning out of control. Where will you go? What will you do? And more importantly, how can you possibly plan for every possible driving emergency at every possible time? In this article, we share with you how to properly have an escape plan at all times. Here is one of the most commonly broken defensive driving tips in the history of driving. A safe following distance is just as important, if not more important than keeping a safe speed. After all, you could be going 120mph but as long as there is enough space between you and other vehicles, you’ll never hit anyone. For some reason, it is human nature to hang out in packs and that is very evident with driving patterns. Everyone tends to drive from stop light to stop light in packs and if you leave too much space between you and the vehicle in front of you on the expressway, be prepared to get cut off. 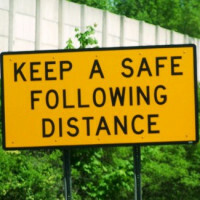 So how, exactly, do you keep a safe following distance? This defensive driving tip could literally save your life. Remember back when cars didn’t even have cup holders? No? Neither do I. But at one time, cars were just cars. These days, cars have on-board computers, GPS systems, satellite radios (bababooey), subwoofers that make you sound soooo cool (seriously though, you don’t look or sound cool), and even flat-screen televisions. And let’s not forget how many people eat and drive at the same time, text and drive, or even get distracted by passengers in the vehicle. From people driving pets around to screaming kids in the back seat and acts we can’t really talk about on this site, distracted driving is everywhere. Some of those distractions we can control, while others we can’t. Here’s how to deal with such driving distractions. Who Are These Defensive Driving Tips Coming From? In addition to having a strong and slightly odd passion for driving, I maintained a perfect safety record driving through all of the lower 48 United States in all weather conditions as a long-haul trucker. 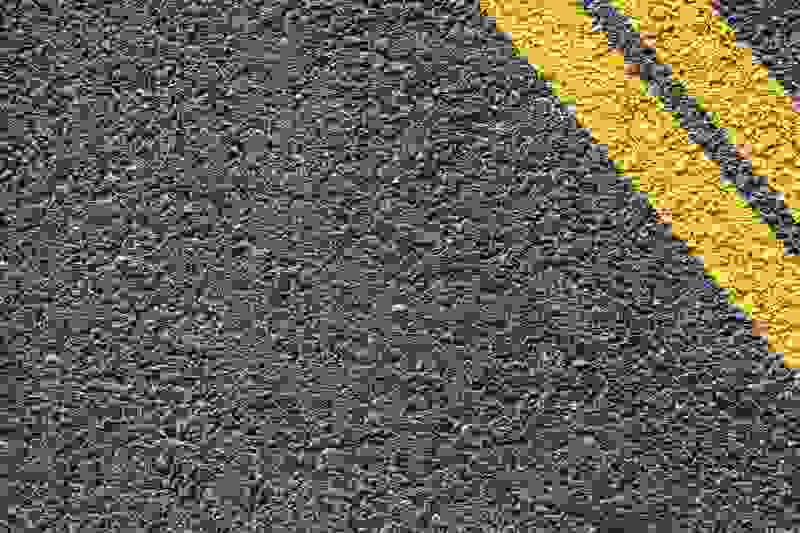 I’ve also completed advanced driving courses such as the Smith System Advanced Driving Course, participated in precision truck driving competitions, received multiple safe driving awards, have analyzed thousands of car accident videos, and became a certified CDL driving instructor (by the way, check out my truck driving blog). The above defensive driving tips are what I believe to be the top 5 most important aspects of being a safe driver. If you follow the above tips every time you drive and make it a habit, you will not only be a safer driver but you’ll also lower your stress level while driving (remember when driving was fun?). Learning defensive driving isn’t so much about improving your own driving skills, rather, it’s how to avoid other drivers. People do dumb things all the time on the roadways. And face it, you’ve done some pretty stupid things yourself. How do I know that? Because we’ve ALL done stupid things on the roads. Nobody is a “perfect” driver. That’s why it is important to always expect the unexpected and plan for anything that might happen. By following the defensive driving tips listed above, you have learned how to safely position your vehicle in nearly any condition to avoid almost any unexpected situation. Notice how I say “almost” and “nearly”. That’s because you can’t plan for everything. However, following the above tips will make you a much safer driver than most. What defensive driving is really about is predicting other peoples mistakes! Sure, you’re wrong about 99% of the time. But when that 1% happens, you’ll be glad you practice defensive driving techniques. Defensive driving can take some time to get used to. Breaking old habits can be hard. For instance, when I used to teach new truck drivers, it was very difficult for some of them to look really far down the road. In a truck that can take up to 3 football field lengths to stop, it is crucial for the safety of everyone that truck drivers look far down the road and predict emergency situations. It usually takes some reminding the first several days, but after a while, it becomes second nature. The same applies when driving any vehicle. For a while, you may have to remind your self to do certain things, but once it becomes second nature and you don’t even have to think about it, you’ve become a defensive driver! VIDEO: 15 Defensive Driving Tips That Could Save Your Life!